• Hair does not grow back as fast. • The skin doesn’t usually get red and irritated. 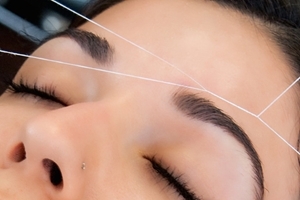 • Threading can target individual hairs. • Hair only needs to grow just above the skin to get threaded. • Over time, hair becomes finer and more sparse.